Draft: 2009, Chicago White Sox, 2nd rd. Full name TRAYCE NIKOLAS THOMPSON…Single...Is a 2009 graduate of Santa Margarita (Calif.) Catholic High School…Also played basketball in high school, leading his team to the California Division III Championship in 2008...Older brother, Klay, plays for the NBA's Golden State Warriors and brother, Mychel, played for the Cleveland Cavaliers in 2011-12…Father, Mychal, played 14 seasons in the NBA for Portland, Los Angeles Lakers and San Antonio...Grew up in Portland, Oregon and followed the Mariners as a kid...Was a fan of Jerome Bettis and the Pittsburgh Steelers...Enjoys golfing and going to the beach. Split the season between the Oakland and Chicago White Sox organizations after being designated for assignment at the end of spring training by the LA Dodgers...Claimed by the NY Yankees on April 3 and was claimed again by Oakland two days later...Appeared in three games for Oakland and was traded to the White Sox on April 19...Appeared in 48 games for the Sox and was outrighted to AAA Charlotte on June 25, spending the remainder of the season with the Knights...At Triple-A he batted .295 (13-for-44) off LHP with an OPS of .786...Connected for third career "walk-off" home run on May 3 vs. Minnesota off Addison Reed. In 27 games with the Dodgers, he went 6-for-49 (.122) with six runs, two doubles, one triple, one home run and two RBI over three stints... Spent majority of the season with AAA Oklahoma City. Appeared in 80 games in his first year with the Dodgers, hitting .225 with 31 runs, 11 doubles, 13 homers, 32 RBI and five stolen bases before having his season cut short due to two stress fractures in his back...Posted a combined .980 fielding percentage after committing just two errors in 556.0 innings, playing 24 games (13 starts) in left field, 32 games (26 starts) in center field and 28 games (22 starts) in right field…recorded two outfield assists...Collected his first two walk-off home runs of his career, slugging a pinch-hit solo shot in the ninth inning off of Mets' Hansel Robles on May 10 and blasting another solo homer in the ninth off of Rockies' Carlos Estevez on June 7...Placed on the DL on July 16 with lower back irritation and was transferred to the 60-day DL on Aug. 7. Finished the season in the Majors after making his MLB debut on Aug. 4, batting .295 with five home runs and 16 RBI in 44 games with the White Sox. ... Had 11 multi-hit games in the Majors (of 44 total MLB games) and of his 16 hits in the big leagues, 16 went for extra bases (eight doubles, three triples, five homers). ... Defensively, appeared 18 games (16 starts) in right field, 12 games (nine starts) in left field, 10 games (seven starts) in center field. ... Made his MLB debut on Aug. 4 vs. Tampa Bay as a pinch-hitter and was struck out by the Rays' Chris Archer. ... Recorded his first-career big league hit on Aug. 7 at Kansas City with a sixth-inning infield single off Edinson Volquez. ... Blasted his first homer on Aug. 11 off the Angels' Hector Santiago, with a fifth-inning solo shot. ... Opened the season with Triple-A Charlotte and batted .260 with 11 steals, 13 home runs and 39 RBI in 104 games…appeared in 94 games in center field, five in right field and four in left field. ... Named to the Triple-A International League mid-season All-Star team. ... Acquired by the Dodgers on Dec. 16, 2015 as part of a seven-player, three-team swap with the White Sox and Reds. Spent his second straight season at Class AA Birmingham...Led the Southern League in at-bats (518) and ranked among the leaders in runs scored (2nd, 86), doubles (T4th, 34), total bases (T4th, 217), triples (T7th, 6), home runs (T7th, 16) and stolen bases (10th, 20)...Was named to the SL midseason All-Star Team … collected four hits on 6/7 vs. Jacksonville and hit a pair of home runs on 8/14 at Jacksonville...Entered the season ranked by Baseball America as the No. 8 Prospect, Best Athlete and Best Defensive Outfielder in the White Sox organization. Spent the entire season with Class AA Birmingham, helping the Barons win the Southern League Championship … tied for third in the SL in runs scored (78) and ranked fourth in RBI (73) … ranked among organizational leaders in triples (T4th, 5), runs scored (5th), stolen bases (5th, 25), walks (5th, 60), RBI (T6th), home runs (T7th, 15), hits (8th, 116), total bases (8th, 194) and extra-base hits (9th, 43) … was a SL midseason All-Star … won SL Batter of the Week honors for the period of 6/10-16, hitting .435 (10-23) with three homers and nine RBI … was successful on 25-33 (75.8) percent of his stolen-base attempts, including 11 of his last 12 … batted .292 (28-96) in May and .314 (32-102) in June after hitting .187 (17-91) in April … went 3-5 with two home runs and a season-high five RBI on 6/16 vs. Jackson … posted a seven-game hitting streak from 6/10-17 … hit .300 (6-20) with a home run and six RBI in the North Division playoff series vs. Tennessee … appeared in 13 games with La Guaira in the Venezuelan Winter League … was a non-roster invitee to spring training … entered the season ranked by Baseball America as the No. 2 Prospect in the White Sox organization. Combined to hit .253 (131-517) with 31 doubles, six triples, 25 home runs, 96 RBI and 21 stolen bases over 136 games between Class A Winston-Salem, Class AA Birmingham and Class AAA Charlotte … ranked among the organizational leaders in RBI (1st), total bases (1st, 249), extra-base hits (1st, 62), doubles (2nd), home runs (2nd), runs scored (2nd, 88) and hits (5th) … led the Carolina League in RBI (90) and extra-base hits (55), tied for the league lead in home runs (22), ranked second in total bases (218), third in slugging percentage (.486) and fourth in runs (77) … was named to the CL postseason All-Star Team … won CL Batter of the Week honors for 6/4-10 (.367, 11-30) … appeared in seven games during the International Legaue playoffs … was promoted to Birmingham on 8/13 and to Charlotte on 8/29 … entered the season ranked by Baseball America as the No. 4 Prospect in the Sox organization … also tabbed as the Best Power Hitter in the Sox system. Hit .241 (125-519) with 36 doubles, 24 home runs and 87 RBI in 136 games with class a Kannapolis...led the South Atlantic League in runs scored (95) and games played, ranked third in home runs and extra-basehits (82), tied for third in RBI, ranked fourth in total bases (237) and tied for fourth in doubles...finished secondamong White Sox farmhands in home runs and fourth in RBI...was named to the SAL Midseason Sll-Star team...recorded three multihomer efforts and drove in four runs five times...hit .306 (44-144) vs. left-handers...hitseven homers with 25 RBI in August...was ranked by Baseball America as the No. 15 Prospect in the SAL...was cited by the same publication entering the season as the No. 9 Prospect in the White Sox organization. Spent the season with Class A Kannapolis, hitting .229 (48-210) in 58 games...was on the disabledlist from 5/31-8/17 with a fractured right thumb...entered the season ranked by Baseball America as the No. 6Prospect in the White Sox organization. Made his professional debut with Advanced Rookie Bristol and Advanced Rookie Great Falls...wassigned by mike Baker. December 1, 2018 Cleveland Indians signed free agent RF Trayce Thompson to a minor league contract and invited him to spring training. 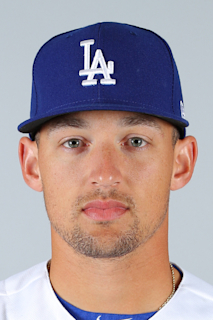 December 1, 2018 RF Trayce Thompson assigned to Columbus Clippers. November 2, 2018 RF Trayce Thompson elected free agency. June 25, 2018 Chicago White Sox sent RF Trayce Thompson outright to Charlotte Knights. June 22, 2018 Chicago White Sox designated RF Trayce Thompson for assignment. April 20, 2018 Chicago White Sox activated RF Trayce Thompson. April 19, 2018 Oakland Athletics traded CF Trayce Thompson to Chicago White Sox for cash. April 17, 2018 Oakland Athletics designated CF Trayce Thompson for assignment. April 5, 2018 Oakland Athletics claimed CF Trayce Thompson off waivers from New York Yankees. April 3, 2018 New York Yankees claimed CF Trayce Thompson off waivers from Los Angeles Dodgers. March 27, 2018 Los Angeles Dodgers designated CF Trayce Thompson for assignment. November 2, 2017 Los Angeles Dodgers activated CF Trayce Thompson. October 6, 2017 Los Angeles Dodgers reassigned CF Trayce Thompson to the minor leagues. September 5, 2017 Los Angeles Dodgers recalled CF Trayce Thompson from Oklahoma City Dodgers. July 24, 2017 Los Angeles Dodgers optioned CF Trayce Thompson to Oklahoma City Dodgers. June 26, 2017 Los Angeles Dodgers recalled Trayce Thompson from Oklahoma City Dodgers. April 16, 2017 Los Angeles Dodgers optioned CF Trayce Thompson to Oklahoma City Dodgers. April 12, 2017 Los Angeles Dodgers recalled Trayce Thompson from Oklahoma City Dodgers. March 31, 2017 Los Angeles Dodgers optioned CF Trayce Thompson to Oklahoma City Dodgers. November 7, 2016 Trayce Thompson roster status changed by Los Angeles Dodgers. August 7, 2016 Los Angeles Dodgers transferred LF Trayce Thompson from the 15-day disabled list to the 60-day disabled list. Lower back irritation. July 16, 2016 Los Angeles Dodgers placed LF Trayce Thompson on the 15-day disabled list retroactive to July 10, 2016. Lower back irritation. August 3, 2015 Chicago White Sox recalled CF Trayce Thompson from Charlotte Knights. March 17, 2015 Chicago White Sox optioned CF Trayce Thompson to Charlotte Knights. September 29, 2014 Chicago White Sox recalled Trayce Thompson from Birmingham Barons. March 12, 2014 Chicago White Sox optioned CF Trayce Thompson to Birmingham Barons. November 20, 2013 Chicago White Sox selected the contract of Trayce Thompson from Birmingham Barons. October 10, 2013 CF Trayce Thompson assigned to Tiburones de La Guaira. April 3, 2013 Trayce Thompson assigned to Birmingham Barons from Charlotte Knights. January 10, 2013 Chicago White Sox invited non-roster CF Trayce Thompson to spring training. August 29, 2012 Trayce Thompson assigned to Charlotte Knights from Birmingham Barons. August 13, 2012 Trayce Thompson assigned to Birmingham Barons from Winston-Salem Dash. April 2, 2012 Trayce Thompson assigned to Winston-Salem Dash from Kannapolis Intimidators. January 23, 2012 Chicago White Sox invited non-roster CF Trayce Thompson to spring training. March 7, 2011 OF Trayce Thompson assigned to Chicago White Sox. September 7, 2010 Trayce Thompson assigned to Winston-Salem Dash from Kannapolis Intimidators. August 18, 2010 Trayce Thompson roster status changed by Kannapolis Intimidators. May 31, 2010 Kannapolis Intimidators placed CF Trayce Thompson on the 7-day disabled list. April 16, 2010 CF Trayce Thompson assigned to Kannapolis Intimidators from Great Falls Voyagers. March 13, 2010 CF Trayce Thompson assigned to Chicago White Sox. September 3, 2009 Trayce Thompson assigned to Great Falls Voyagers from Bristol White Sox. August 5, 2009 Trayce Thompson assigned to Bristol White Sox from Chicago White Sox. July 27, 2009 Chicago White Sox signed OF Trayce Thompson.